In 1994 Angela Davis wrote an article for Critical Inquiry attacking the media for representing her as a style icon. The discovery that the New York Times Magazine has named her one of America’s top “trendsetters” leads Davis to explore the terms of her public role to understand how her self-image measures against the visual politics of mainstream culture at a critical time for black politics. The core of “Afro Images”, now part of the canon of black studies, is a critique of fashion’s complicity with reactionary politics and historical revisionism. In particular, it is a reflection on the uses of fashion photography as both a propulsive and containing force of socio-political change. 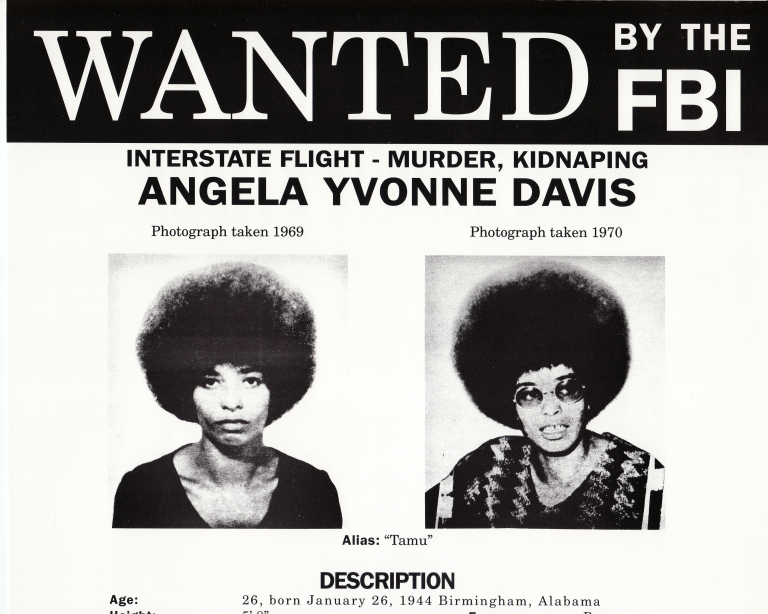 Davis recalls the occasions, following her release from prison, in which she had to ask not to be photographed in a leather jacket and Afro hairdo, the uniform of the Black Panther Party, contending that “within the interpretive context in which [young African Americans] learn to situate these photographs, the most salient element of the image is the hairstyle, understood less as a political statement than a fashion” (38). On the same line of thought, she condemns Vibe magazine for realising a fashion spread that exploits her legal history with the intent of “sell[ing] clothes and promot[ing] a seventies fashion nostalgia” (44). Davis’ uneasiness stems not from being associated with a specific outlook and style, but with the recontextualisation of the signs and signifiers of black radicalism that the Panthers’ uniform stood for. 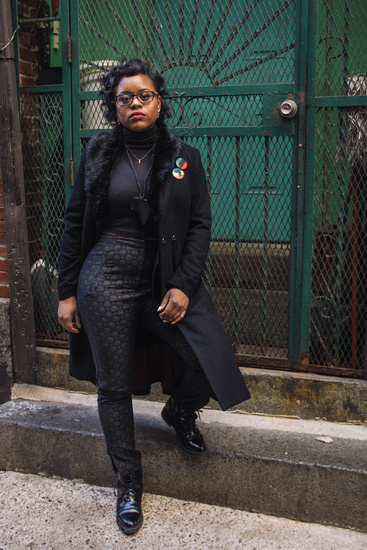 She observes that in the climate of the 1990s her fashion and beauty choices have become a constricting and distracting costume that evades any issue of racial inequality. 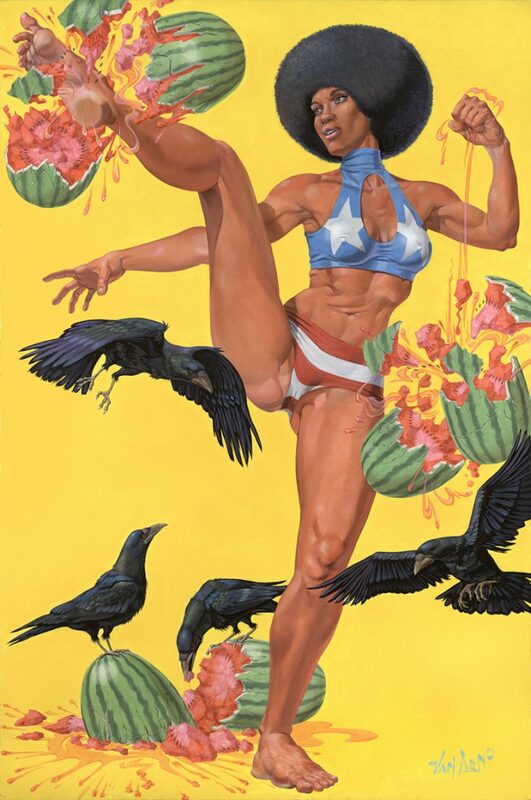 She calls “revolutionary glamor” (39) the eye-catching, mass-mediated, uncritical version into which the style of the Panthers, a symbol of black pride and radicalism, has been reduced. 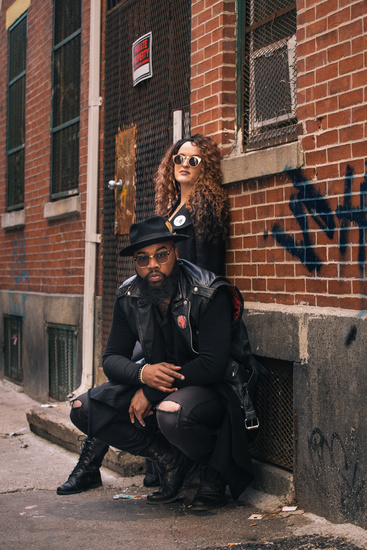 The new fashionability of the uniform facilitates the translation of a historical phase of disruption into a narrative of actual national consolidation, with black radical dress being absorbed into a new canon of young and hip cool. Vibe‘s editorial, for example, constructs black activism as an individualistic pursuit and a thing of the past. The way in which this document provided a historical pretext for something akin to a reign of terror for countless young Black women is effectively erased by its use as a prop for selling clothes and promoting a seventies fashion nostalgia (44). The Afro similarly participates in this shift from activism to nostalgia, providing a familiar visual referent that normalises and contains radicalism, relegating it to the past. Davis pointedly ends her piece with an invitation to engage photographic images to practice, instead, an unruly form of social and political memory able to promote criticism and activism. In recent years, a number of works have appeared that, as the scholar of black photography Leigh Raiford observes, deploy the iconography of the Black Panther Party to “consider how such memory […] shape[s] or foreclose[s] contemporary activism” (2011: 228). 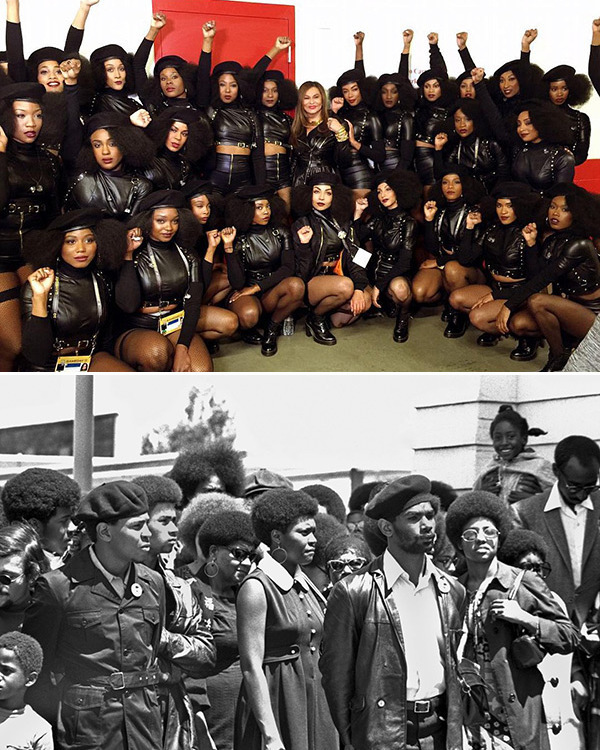 These include Göran Olsson’s documentary The Black Power Mixtape: 1967-1975 (2011), Stanley Nelson’s film Black Panthers: Vanguard of the Revolution (2015), and Beyoncé Knowles’ contested dance act in an outfit inspired by the BPP uniform at the Super Bowl 50 in February 2016. 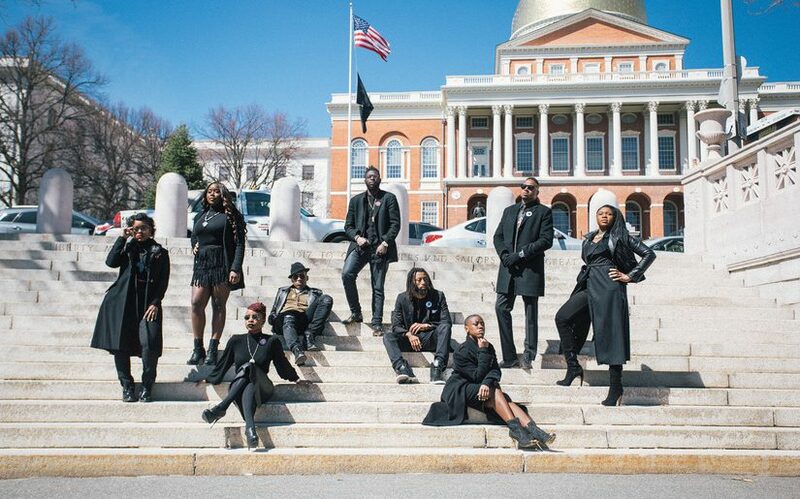 Given this renewed engagement with the iconography and political message of the Panthers, I interviewed Boston-based visual artist Alex Joachim for African Digital Art Network on his latest photographic work entitled The Black Panthers Project 2016. 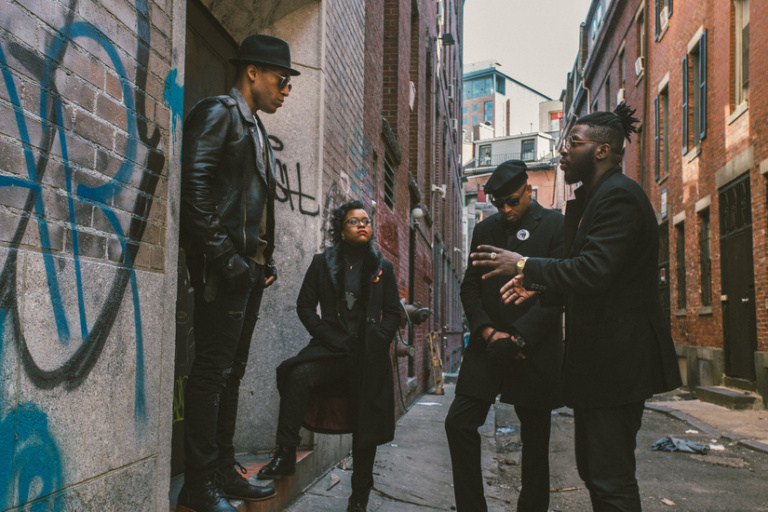 The Black Panthers Project 2016 offers yet another recontextualisation of the visual power of the Panthers and incorporates a fashion-focused outlook. I asked him how he thinks the legacy of the BPP lives on in the present and what fashion can add to black politics. 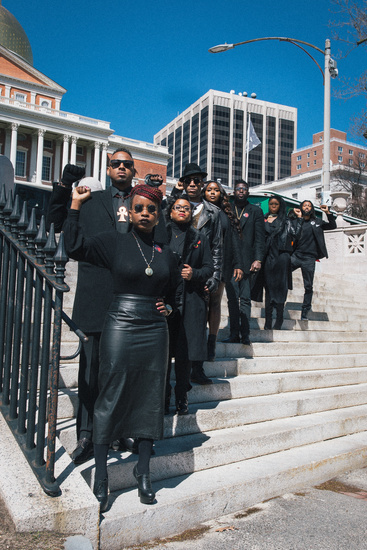 HOW DID THE BLACK PANTHERS PROJECT 2016 COME ABOUT? 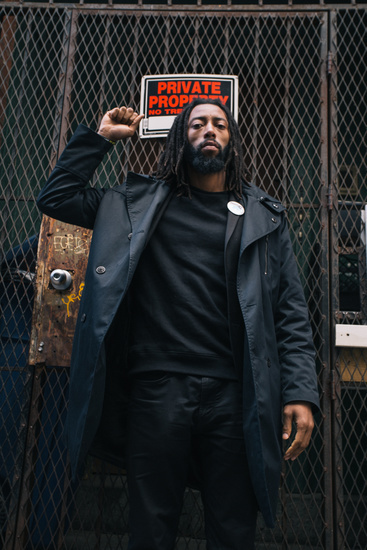 The Black Panthers Project 2016 came about after being inspired by my community and it’s many instances of coming together for change. Whenever I would see these rallies in my city it would capture the many shades and age groups of the world that stands together in solitude. Unity of my community sparked a fire I wanted to shoot and showcase, which is how I came about to creating the Black Panthers Project 2016. The goal of this project is to show our young community at work. I wanted to showcase that the younger generation is now in power of change, and that beauty in itself I wished to display. 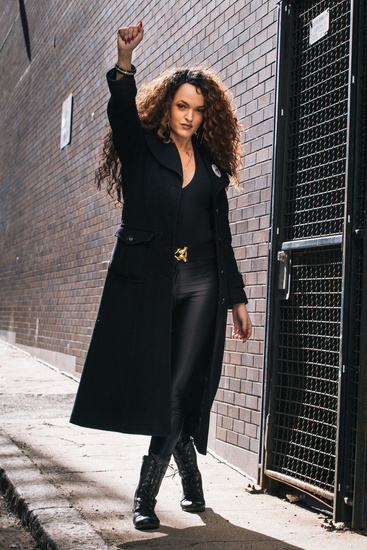 WHILE THE BODY LANGUAGE AND SOME ARTICLES OF CLOTHING REPLICATE THE ORIGINAL ICONOGRAPHY OF THE BLACK PANTHER PARTY, YOUR WORK HAS A GLAMOROUS TOUCH. IT LOOKS LIKE A FASHION EDITORIAL. HOW DO YOU BALANCE THE INTENTION OF CONVEYING A MESSAGE OF RACIAL AFFIRMATION AND THE RISK OF SPECTACULARIZATION THE BLACK BODY? I’ve always felt as though the message always speaks loudest to those that relate. Throughout the shoot I reiterate to the models what the intention/mood for this project was. Through visually seeing the models emotion, physical gestures it aids in balancing the superb work of the models, and stylist with the underlying message throughout the shoot. WHAT ARE YOU THOUGHTS ON THE RENEWED STRONG POLITICIZATION OF BLACK FASHION AND BEAUTY DRIVEN BY INTERNATIONAL EVENTS LIKE AFROPUNK AND CULTURAL SHOCKS LIKE BEYONCÉ’S LEMONADE: THE VISUAL ALBUM? What a time to be alive huh? We are in a state of time that we have a voice, we are being seen, and for the most part we are being listened to creating a social shift. In society the issues of not loving our own unique spins on fashion, our many shades of beauty has always been a problem but now we are in a time where we are celebrated. I love the idea of glorifying self love, and that’s what I believe these international events and cultural shocks are currently doing. INDIVIDUALISM IS A BIG PART OF WHAT GOES ON IN THE UNIVERSE OF BLACK REPRESENTATION TODAY, MAKING POLITICAL AFFILIATION VOLATILE. WHAT DO YOU THINK REVISITING THE VISUAL HISTORY OF THE PANTHERS MEANS FOR THE CONTEMPORARY VISUAL POLITICS OF BLACKNESS? 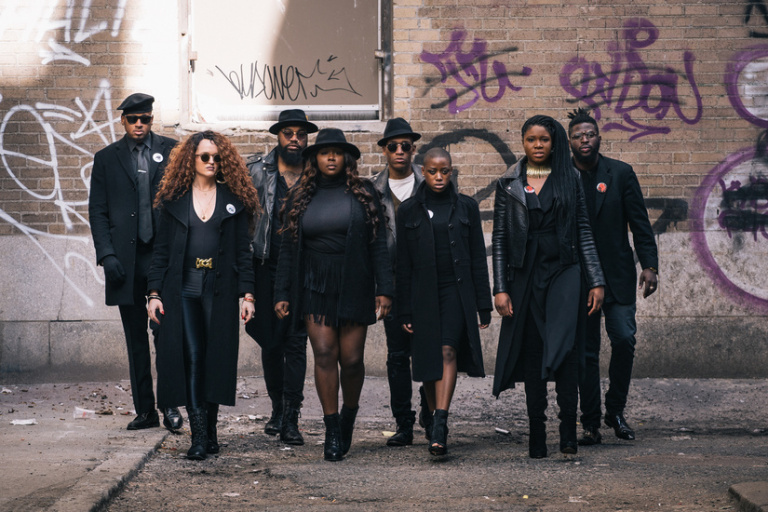 The visual of The Black Panthers Project 2016 hopefully reminds people that yet we feel excluded at times from society that we must remember we are one and we have people that may not look like us but still in our corner with the best intentions. Our blackness matters, we may be called the ‘minority’, yet we’ve made so many political shockwaves that our issues have become a social issue. 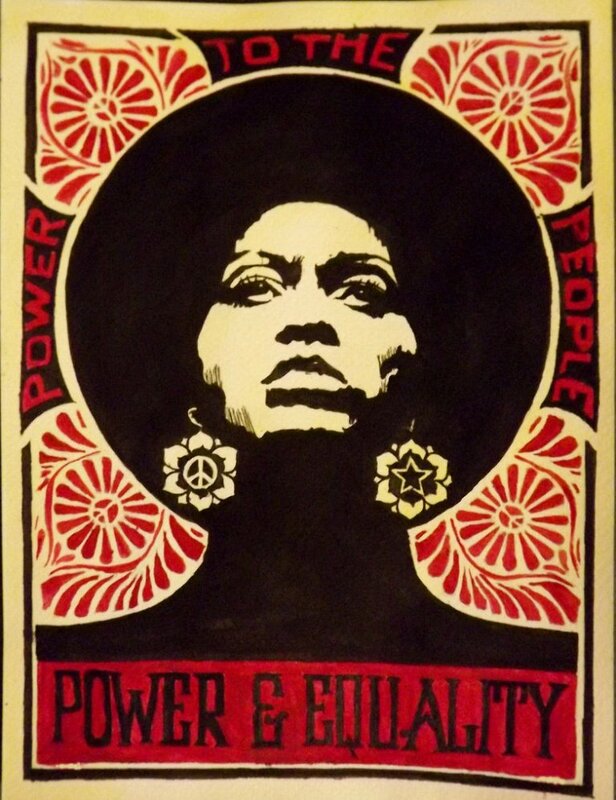 WHAT DO YOU THINK HAS CHANGED SINCE THE 1970S IN TERMS OF THE POWER OF THE IMAGE TO DRIVE BLACK POLITICS? I believe we are force fed so much imagery daily to the point we’ve become docile of the unchanging issues, which is a problem. 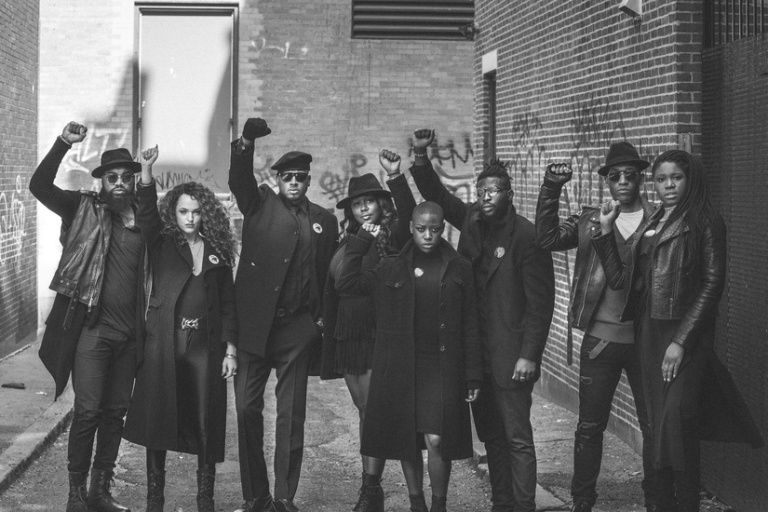 ANGELA DAVIS HAS COMPLAINED THAT POPULAR CULTURE TURNED THE PANTHERS INTO COMMERCIAL ICONS, THUS COUNTERACTING THEIR POLITICAL STRATEGY BY ALIENATING THEM FROM THE EXPERIENCES OF REGULAR BLACK CITIZENS. HOW DO YOU ENVISION THE “LONG TAIL” OF YOUR PHOTOGRAPHIC PROJECT, WHAT DO YOU HOPE IT WILL ACCOMPLISH? I hope my visuals aid in projecting that sense of unity in the many communities across the world that we are not weak, we can stand as one and that we are capable of social/political change. All I can ask for is that people take this project and glorify it for it’s many layers of beauty. When planning the shoot many ideas came to mind but what my main focus was, was to showcase that the youth now obtain the power of change. In the past we were left feeling as if we were to be protected and now we are the game changers. I wanted to highlight that the younger generation is not only focused on fashion but we are also sharp with what’s happening in our communities and are willing to unite for this change (even if it happens to be in style). Davis, A. (1994). Afro Images: Politics, Fashion, and Nostalgia. Critical Inquiry 21(1): 37-45. Reiford, L. (2011). Imprisoned in a Luminous Glare: Photography and the African American Freedom Struggle. Chapel Hill: University of North Carolina Press.